For (sham)rocking the night away. For those who observe this annual feast day of Ireland’s patron saint, St. Patrick’s Day means a fun, festivity-filled celebration of Irish heritage with matching green gear, and, of course, a toast (or three) with your fave pint with your nearest and dearest. For us hair obsessives, however, it’s all about an opportunity to display our Celtic knot braid chops, which is an on-trend (and still stylish) nod to this unofficial day of merriment, typically celebrated on March 17 each year. This 2019, it serendipitously falls on a Sunday, giving an amped up meaning to Sunday Funday—luck of the Irish indeed! While this style is cheeky yet tasteful, and definitely not as cheesy as your typical campy holiday fare, the Celtic knot braid is a fashionable way to reference the day without looking like you tried too hard. What is perhaps most noteworthy, a half-updo is also easy enough to recreate at your office desk, before heading out to meet your buddies for that celebratory beer after work. Who are we to argue with tradition? Cheers! Step 1: Start on clean hair. First of all, if possible, wash hair first with a moisturizing system—this will help nourish your locks and keep flyaways and frizz at bay. We like the look and feel our strands get from the nutrient-rich wash and care system. 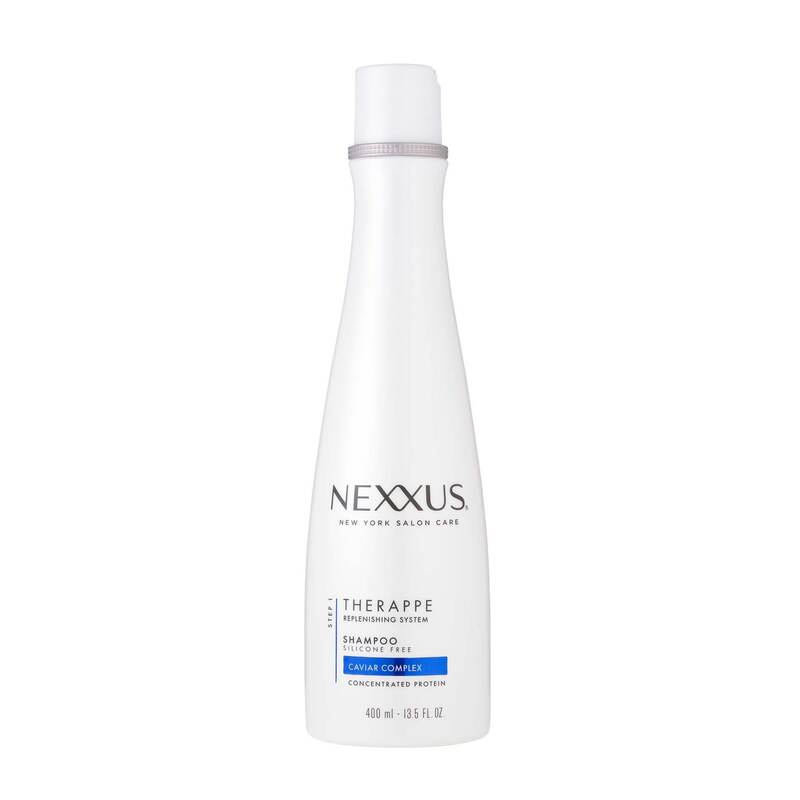 Therefore, we use a duo like Nexxus Therappe Shampoo and Nexxus Humectress Conditioner. Rinse well with cool water, and rough-dry by blotting with a towel. A dry shampoo stashed in your office desk can also refresh while on the go. We especially like the powder-clean feeling (and scent!) 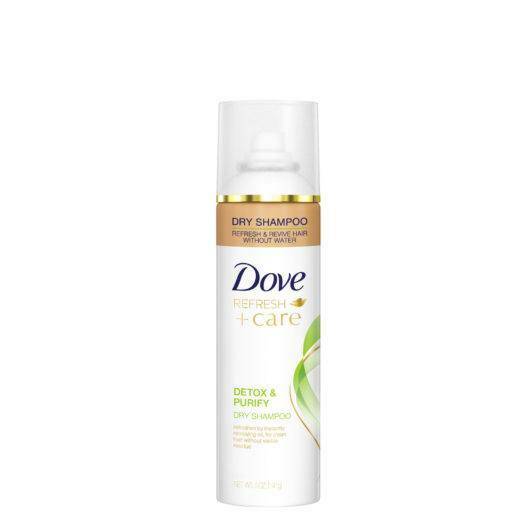 of Dove Refresh+Care Detox & Purify Dry Shampoo. Spray 12” away from your roots, and tousle hair till evenly distributed. Step 2: Prep your hair. 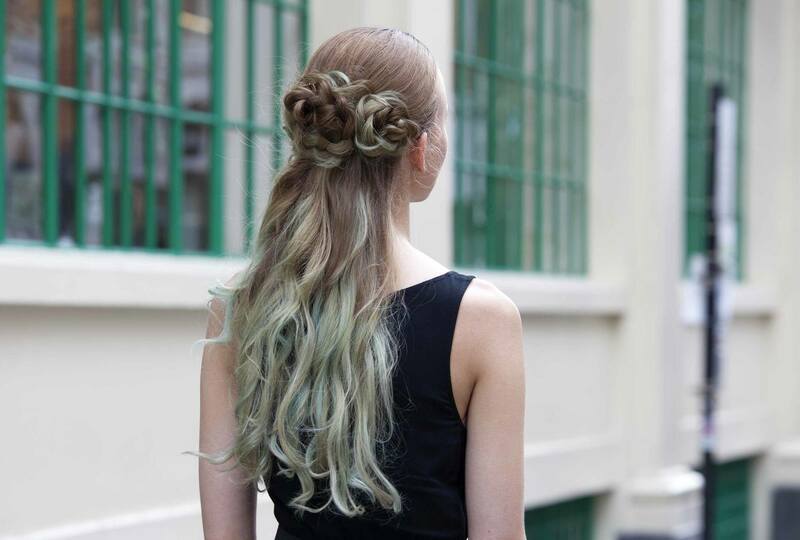 We usually prime hair with a thermal protectant before going in with a knotty plait, like this Celtic knot braid, as it helps prevent breakage and aids in general detangling and pre-styling. 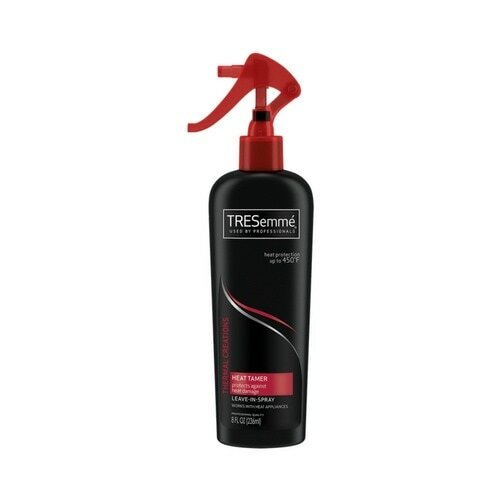 After rough-drying hair, lightly coat hair with a heat protector, like TRESemmé Thermal Creations Heat Tamer Spray. Blow-dry your hair completely. Step 3: Part hair as if doing a half-updo. Separate the top half of hair and divide it into three sections, a small tip o’ the hat to a popular kind of Celtic knot, the Trinity Knot. Step 4: Braid each section. Create your regular three-strand braid on each section, stopping midway or a third from the ends of your hair. Secure each braid with a tiny hair tie. Step 5: Create your links. Start with the left section. 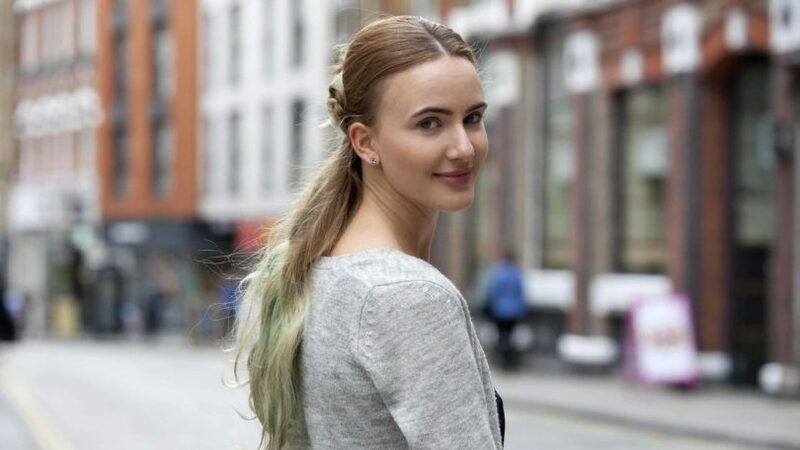 Coil the plait once around its own base, securing it to your scalp with bobby pins. Begin to do a second revolution, but don’t close it fully. Instead, connect the ends of the left section to the top of the middle braid while tucking it onto the top of the middle braid with pins. Coil this section around itself as well for a full loop, securing again at the scalp with pins. Repeat for the last section by again tucking the ends of one circle into the gap where the next braid starts. 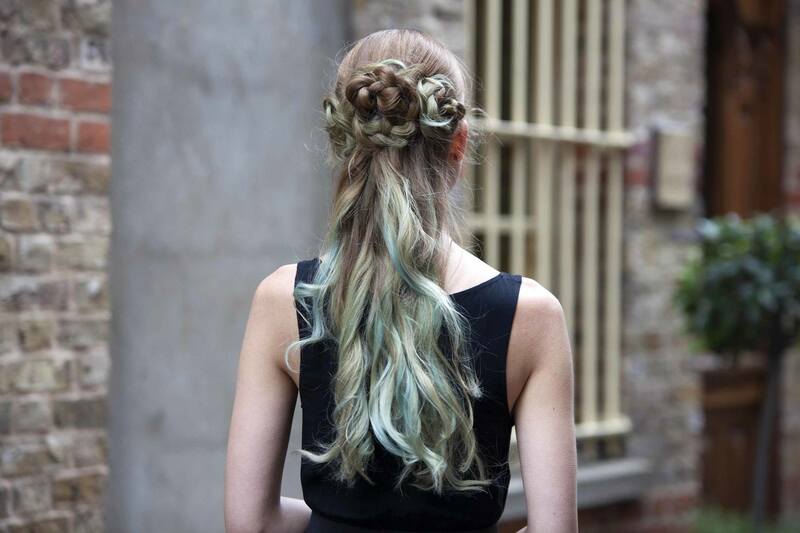 Finish off the rightmost braid by neatly securing the ends into the rest of your hair with pins. Step 6: Curl your ends and finish with hairspray. Finally, for a flirty final touch, give your lengths and ends a quick run around a medium-barreled curling iron. Separate ringlets with your fingers to soften each curl. A final misting of a volumizing hairspray, such as TRESemmé 24 Hour Body Finishing Spray, helps keep hair humidity-resistant and all set for a night of partying. The Ultimate Guide to Braids.